LED Software Operation Manual | Shenzhen HeChuangMei Optoelectronics Co., Ltd.
1>.Click ”powerled.exe” on the CD-ROM to setup the application! 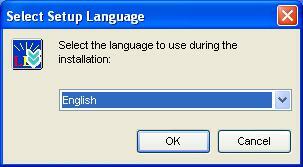 2> Choose the install language,click “English”, as below. 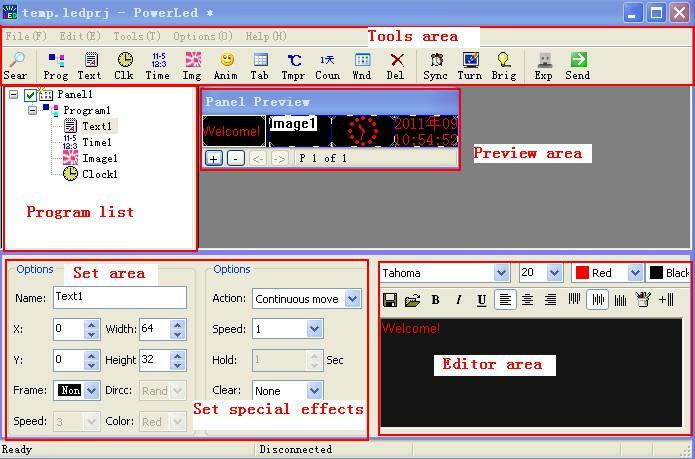 Software during normal operation of the interface shown in Figure 3, mainly by the “Tool area”,”"Program List","set area”, “Editor area “,"Preview area”, five parts. Figure 3 the software main interface. 5>, support bmp, jpeg and other image formats. 9>, use to add count down. 14>, Adjust the display brightness, the brightness can be time-change, or a grade of brightness throughout the day. 15>, Export the edited content to the U disk. 16>, Send edited content to the control card. .In the program list ,you can add any type of a program ,if you need. You can add up to 200 different programs. Different types of programs has different editors area, its location is generally in the lower right foot. 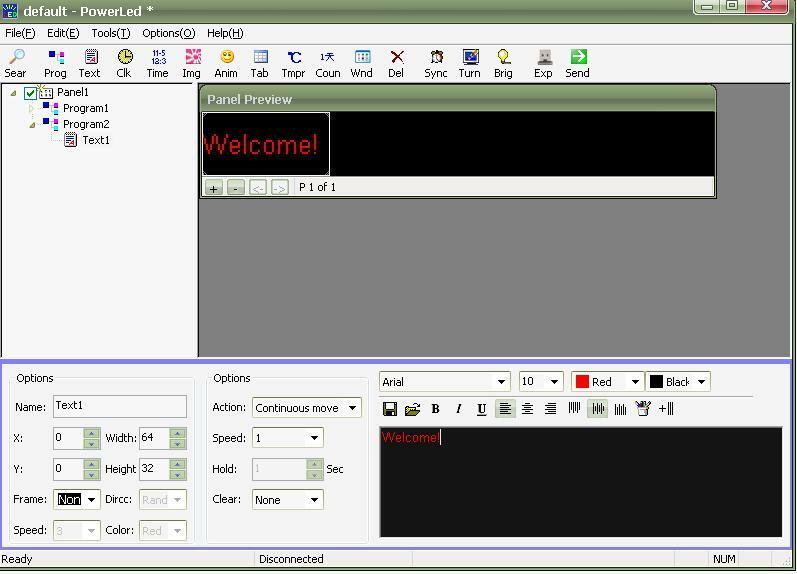 A typical window, such as: TEXT type of program..As shown. You can set the program according toyour own need in the settings area, you can set the program location, size. Broadcast time effects, playback speed and other characteristics. 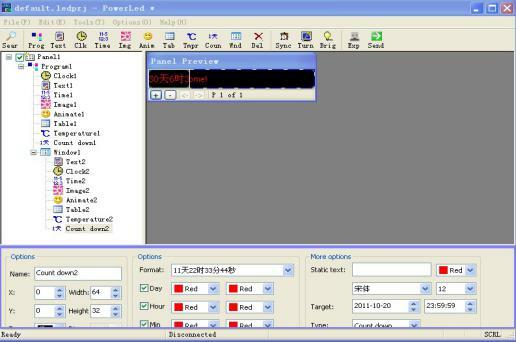 Preview: program editing is completed in preview window shows the effect of a single observation.